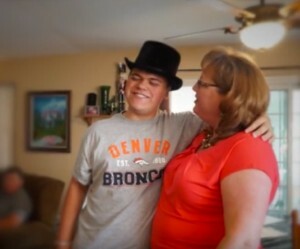 Yesterday, we reported on a new video that was released that showed Jeffco School Board Member Julie Williams talking about how her autistic son, Randy, was bullied into carrying a sign protesting her. After yesterday’s revelation of the union’s bad behavior, we never would have thought that the left could stoop lower. Now, the left is basically calling this victim of bullying a liar because a review of two days of video didn’t find any bullying. Here’s a letter the school sent about the investigation. And, here’s the problem. Williams said thought perhaps her special needs son was bullied on September 18 or September 22, and, thus, that’s the footage that was reviewed. But, we checked the media reports and protests at Standley Lake High School occurred on September 19. Even Williams admitted that she may have the date wrong. Just because two days of footage did not show an incident of bullying doesn’t mean that it didn’t happen. There were many other days during which this could have happened. But, even more pointed, how outraged would the left be if a victim, say of Bill Cosby, came forward and someone called her a liar? There would be an entire Atlantic article about victim shaming, MSNBC would run a series on it, and, in short, it would have been national news. Further, since when is the left the arbiter of truth? The pro-recallers flat-out lied about the salary of the superintendent on the ballot. The pro-recallers continue to claim that the Board broke open meetings laws, but cannot produce a shred of credible evidence to support the claims and never filed a suit to support their claims. The pro-recallers have lied at every turn without the media questioning their facts. Any media outlet that picks up a “he said, she said” story about a mother defending her son that she genuinely believes was tormented by his classmates is scum. And, so are the pro-recallers who are trying to smear the victim in this situation just to cover up their own horrific behavior. Why didn't the District review footage of the 19th? BECAUSE HIS SCHOOL WAS CLOSED THAT DAY. The students protested off campus on a day that the school was closed. The only way he could have been there was if a guardian drove him there. Nice try, though. As a teacher and member of JCEA, I would wholeheartedly agree that the sort of situation as described in the video is deplorable, but it's worth noting that Julie Williams has twice stated to reporters (once back in Sept. 2014, and once more recently to 9 News) that she doesn't believe any particular teacher or student coerced her son into joining this alleged rally. I don't understand the rational behind using this story to label an entire group of people (the recall folks) as bullies, or union goons. Even if it did happen as stated, the people who behaved like goons would be those who manipulated the young man… that's not on the union, the teachers or any students who weren't involved. Anyway, given the facts as they are known, this just looks like an attempt to discredit the pro-recall folks. If you want to claim the moral high ground, then you have to take the high road. Whoever released confidential student information at the district level in a CORA request of this so called investigation John McDonald did, should be prosecuted. That is AGAINST THE LAW- regardless of whose kid it is. "On September 2.4th, 2014 received an email from Dan McMinimee that attorney Brad Miller was asked to reach out to me by Board Member Julie Williams. Ms. Williams had informed Mr. Miller that her son, a special needs student was used as a "prop" to carry a protest sign during a parade at Stanley Lake High School. I spoke to Mr. Miller who provided a date of Sept 8th, 2014 as the date the incident occurred on. I assigned the video surveillance review to Manager of Security Operations Bill Kitamura and then contacted SLHS Principal Jeff Pierson and discussed the allegations. Principal Pierson was adamant that neither a parade nor protest occurred at or in the school. Following the video review, I contacted Mr. Miller to advise him of the findings. Mr. Miller stated that he would contact Ms. Williams and let her know that nothing was found. I advised Mr. Miller that I was happy to speak to Ms. Williams about the findings if she had further questions."